Did my margarita just move? Cantina Laredo, located in the heart of River North, will celebrate Dia de los Muertos ("Day of the Dead") with a unique glassware giveaway. From October 7 to November 4, dining, lounge and bar guests may enjoy specialty cocktails served in a Cantarita clay cup, complete with an image that comes to life once it meets your smartphone. The second specialty cocktail will be Flores Frascas, made with Espolòn Blanco Tequila, Aperol, fresh lime and orange juices, orange blossom syrup, garnished with strawberry rosettes. The Flores Frascas libation will be available from October 15 to October 20. 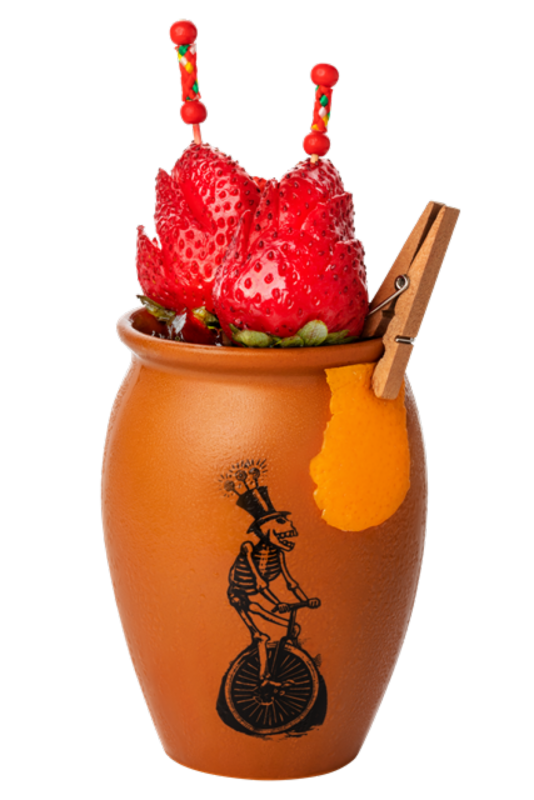 Every Sunday in October, Cantina Laredo will unveil a new Cantarita cocktail served in a keepsake cup. The cocktails are $12 each.